Kids Love the Adventure and Mystery of an Easter Egg Hunt! There can be no doubt about it, children love the mystery and adventure an Easter egg hunt brings. From the point where they go exploring throughout the house and garden to their delight in finding the eggs, good Easter egg hunts are something they will look back on with fondness. As parents, this is quality time. In comparison to other occasions such as Halloween and Christmas, there is little build up and planning involved. Other than cooking a meal and managing a few visiting relatives, enjoying time with the kids at Easter is relatively easy. Of course, if you rely on corrective lenses to see, your experiences of Easter might be a little different. Before you can join in with the hunt, giving clues and celebrating your children’s triumphant finds, you need to find your glasses and clean the lens. And if you have contact lenses, you have to put them in, taking care your hands touching each contact lens are clean. Like all exciting holidays for children, they tend to be up early. There are Easter eggs involved after all. Serious business if you’re under ten! Serious for chocolate-lovers if you are over 10. What happens if you cannot find your glasses or you are delayed when inserting your contact lenses? This is not a good scenario. The kids are probably getting impatient, your significant other is under pressure to calm them down and keep them occupied. Though this might not be a problem any other day, we can all imagine how our partners tempers will wear thin when these issues arise. Providing your glasses and contact lenses are ready to go, you can now join in as planned. Of course, cooking the main meal of the day – normally a roast – will pose its own problems. Glasses can steam up; contact lenses can and do fall out. Not easy to retrieve if they fall into the stuffing or the gravy. The problems of corrective lenses are far reaching. All of this chaos can be avoided if you have laser eye surgery. Treatments have undergone something of an evolution over the last thirty years, and nearly all eye conditions can be treated. The range of procedures normally involves using lasers to reshape your cornea. If this is not an option, other treatments are available. New treatments such as the Visian ICL are also available. This involves placing a special contact lens in your eye without removing any parts of your eye. This eye treatment has proven so effective, the US Military use Visian ICL to improve the vision of their combat troops. If it can stand up to the rigours of desert warfare, it should stand up to the toughest of Easter egg hunts. If you rely on contact lenses or glasses and would like to find out more about the range of vision correction treatments available at Advanced Vision Care, then why not call AVC TODAY on 0800 652 4878 and request your free information pack or book your consultation to find out how we can help you. 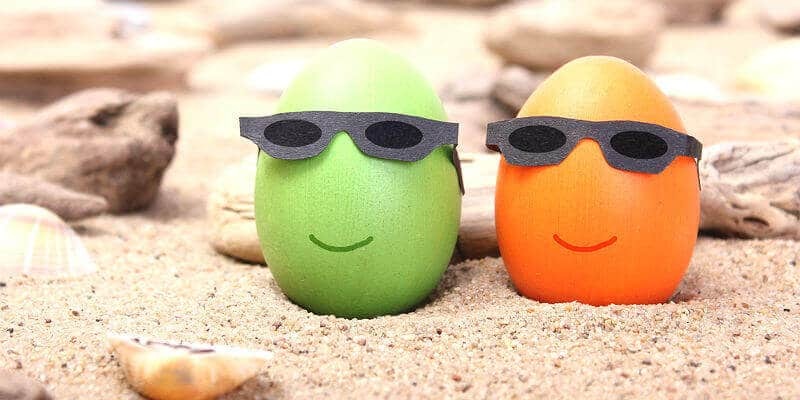 The great thing about laser eye surgery, it is not just for Easter, it’s for life.